If there is anything better than 8 solid, uninterrupted hours of sleep for improving your general wellbeing, then I’d like to hear it. I’m not sure there is, to be honest. Getting a better night’s sleep is right up there, high on the priority list for most of us. Especially so if you’re in a stressful phase of your life right now, or you have interruptions from sleep-resistant bubbles of energy (aka young children). But it’s hard to achieve. It’s not just the addition of work, family and financial pressures that can keep us awake at night. Today’s lifestyles, constantly plugged into to the online world, social media, binge watching Netflix – it leaves your brain in a constant state of alert. It’s no wonder many high tech new companies are in their labs, testing out some of the most cutting edge methods for getting us to achieve that perfect 8 hours. 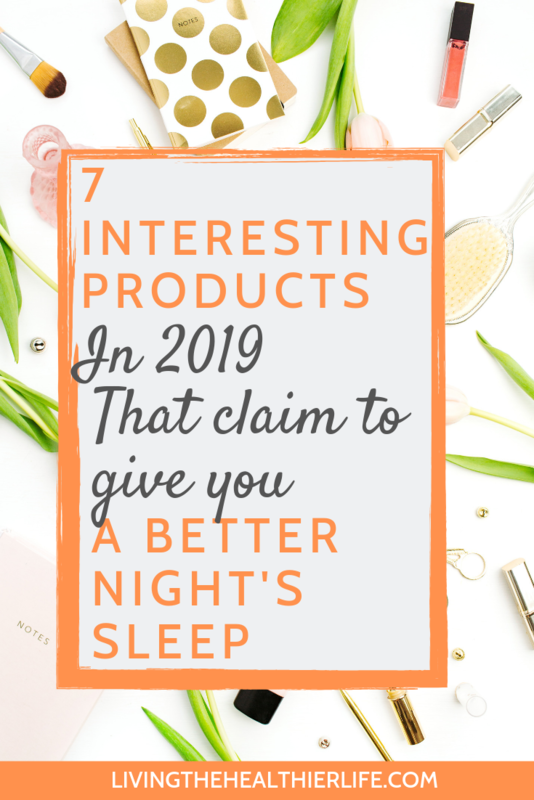 Here are 7 of the most interesting products on the market at the moment. Blue light is essential for daytime. It’s what keeps us alert. It’s found in nature, in sunlight. But unfortunately it’s also the artificial light we are exposed to from spending our day looking at screens. For many of us, that’s work and leisure time, so those hours soon add up. It’s that same exposure to blue light than can make it harder for us to wind down for a restful night’s sleep. It suppresses melatonin, which is our sleep hormone. Fortunately, help is at hand. You can now buy blue light blocking glasses to reduce your exposure. 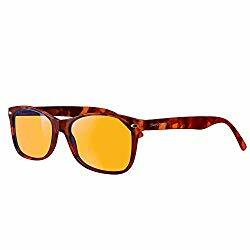 These glasses help your body stay in a more natural sync with the world. So when the sun goes down and it’s time for bed, your body is ready. They are also recommended by sleep experts. They claim blue light blocking glasses can help you get to sleep faster at night. Which will leave you feeling more refreshed come morning time. The hormone melatonin regulates your sleep cycles. Unfortunately, our modern environment can interfere with our body’s production of this essential hormone that allows our body the rest and recovery it needs after a hectic day. You can now buy good quality melatonin supplements online. Sleep experts claim that they can help boost the levels you need to get that all important good quality sleep. Waking up in the middle of the night, hot and sweaty, is a common reason for a poor, interrupted night’s sleep. Especially in the summer months, and in warmer climates. But help is at the hand in the form of some very high tech pillows that will remain cool throughout the night, allowing you that same blissful feeling you get when your heard first hits a cool pillow when you first lay down to rest in the evening. The Sleep Pebble is a rather clever little gadget created by a UK company called Zeez. Their makers claim that in tests, 80% of their users experienced dramatically improved sleep quality. As sleep products go, this one is pretty smart in its design and simplicity. It’s not cheap. 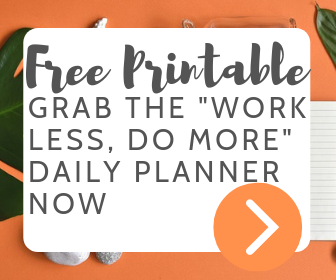 But definitely worth a try if you have the budget for it – or you’re just really eager for a good solution that’s actually going to work. The Pebble is a small device that you put under your pillow. It pulses small signals to your body, in harmony with the normal electric pulses created by the brain during a good night’s sleep. What it is essentially doing is training your brain to sleep as it’s designed to sleep. There’s something rather appealing about the Dodow light if you suffer from insomnia. 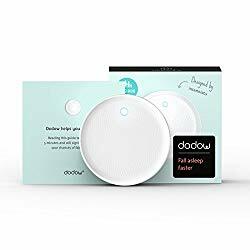 If you’re one of these people who will toss and turn in bed, with a million thoughts going around your brain, then the Dodow light might be worth a try. Dodow is a little light projector. Press a button and it will project a little slowly pulsing blue light onto the ceiling. Keeping your focus on this light, your aim is to syncronise your breathing with the pulsing of light. As sleep gadgets go, this is also one of the more reasonably priced options on the market. 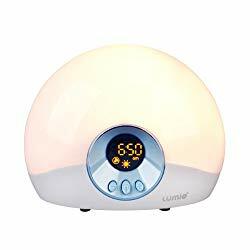 Sunrise alarm clocks are a form of light therapy than can give you a much more natural option for waking up in the morning than the buzzing of a loud alarm. They allow you to gradually wake from your sleep using a more natural light to slowly wake you over a 30 minute time period. That can leave you feeling more refreshed after a night’s sleep than getting abruptly woken in the middle of a deep sleep cycle. It’s also a recommended therapy for people who suffer from SAD (Seasonal Affective Disorder). Sleep monitors have been a turning point for many a poor sleeper over the last few years. But a lot of people dislike wearable monitors throughout the night. So a few big companies have created high tech sleep monitors to be placed on your mattress, which they claim will monitor and track your sleep patterns throughout the night. That monitoring is designed to help you improve your sleep patterns over time and eventually help you to achieve a much better night’s sleep.